The Garden of Gethsemane has always fascinated me. After the last supper, Jesus and his disciples retreated to the Garden where Jesus prayed for a way out from the suffering to come. He prayed, “Father, not my will, but your will be done.” Jesus found clarity, strength and courage in prayer. Meanwhile, the disciples slept. 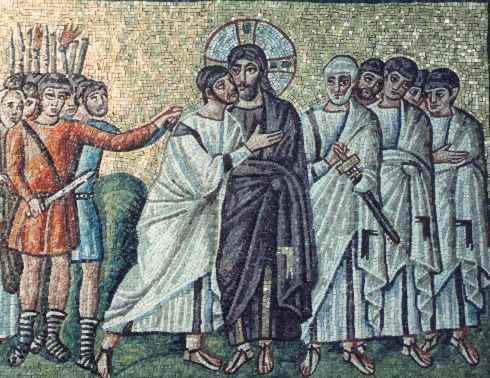 Then the crowd arrived and Judas betrayed him with a kiss. At first the disciples tried to resist with a sword, but Jesus stopped the violence and reminded them that he could ask for an army of angels to fight if he wished, but that was not the plot of Christ’s story. He would go to the cross. Calvary was the chosen battlefield with Satan and death. I have tried to remember a time when I was so abandoned but all seem trivial in relation to this story. There have been times when I felt very much alone. Once late at night I walked the deserted streets of west Philadelphia back to my college, thirteen miles, but that was my own foolishness. To experience abandonment means others choose to leave you. People have experienced being abandoned by their spouse, or family, or friends. I can only imagine their depth of pain and grief. Jesus experienced such rejection in the Garden. Still Jesus stayed the course. He endured the ridicule, mockery, and humiliation of a religious trial. He stayed the course because he would not, does not, will not abandon us. He stayed the course towards the cross for us. What strengthens you to keep the faith in God and others? What tempts you to abandon them? Where have you felt abandon? Where is God for you right now? Prayer: Almighty God, protect and preserve us in this world that we might keep faith in your promises and our call to serve you and one another. This entry was posted in Bible, Jesus, spiritual exercise, story and tagged abandon, Garden of Gethsemane, Holy Week on April 20, 2011 by Pastor John Keller.